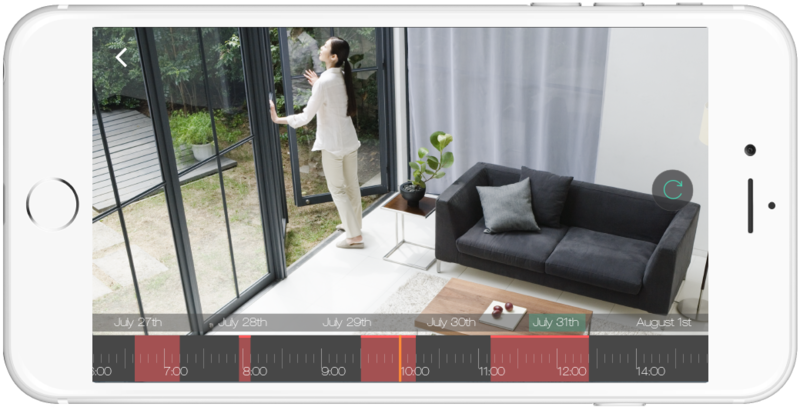 iKonke smart camera carrying the primary users of iKone expectations. It is not only an intelligent single product, but also an important part of the smart home security system. It has excellent design and super high quality, and it combines Pan&Tilt and 1080P for the first time. Dig deeper into pain and demand to see what you want most. iKonke Smart PT Camera can cruise automatically according to the system route, and also can focus on the three locations of the collection.If you want to view a location, click on the collection location in the APP interface, and the camera will be able to direct you to the location where you can view the monitoring images of the area. Any object that passes through the surveillance area,the camera will not miss every move. 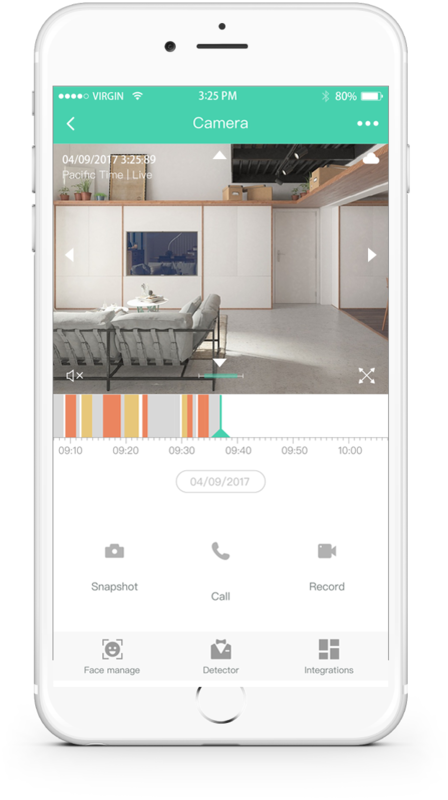 Setting up mobile detection storage allows your memory card to hold longer videos. 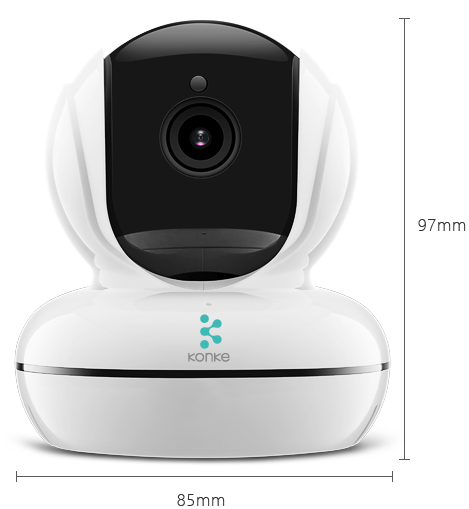 The camera and other iKonke products can be used together to build different smart linkage scenarios for the home security and intelligence system. 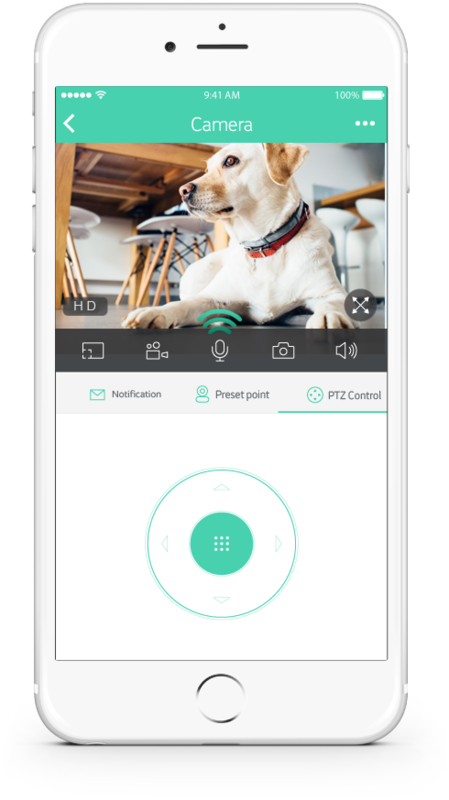 APP message push, phone screenshot, video storage, voice deterrent,anti-theft better. Pets in the home triggered the sensing system and used the voice to tease it, and it was able to see the funny picture that it was trying to get around with its voice. Copyright 2018 Konke Information Technology Co., Ltd. All Rights Reserved.